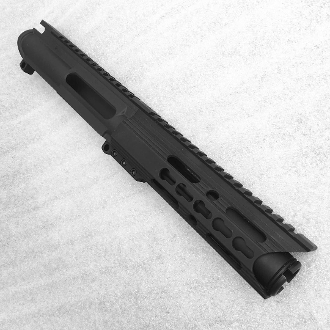 9mm Pistol Upper for your next Ar15 build. 'Sport' upper receiver, lightweight with no dust cover or forward assist needed. Note: if you decide to change the flash hider on your own, be sure to use one that a 9mm bullet will pass through. receiver may or may not have brass deflector.